← Vancouver BC	– Truly, what a stunning city! And one that I want to return to to investigate, and wonder around, and get lost within. And although my time here was short, I have no qualms in recommending some great hotels and restaurants! Head north and enjoy! Halfway down the heel that is the book of Italy, you’ll find the most charming, and welcoming, city of Lecce. It’s been years since I’ve been to Lecce and upon my return, fond memories flooded back as if only a few months had passed. Often referred to as “the Florence of the south”, I think it has more to offer and is a monument of civic pride, and beauty, all unto itself. 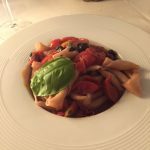 There are quite a few options in Lecce for where to stay: from the quaint bed and breakfast to the 5-star hotels in and around the city. But honestly, because it’s so far south and I’m still uncertain how much tourism there is – or sadly, perhaps tourism is down because of last month’s horrific earthquake in central Italy – your euro will go quite far so think outside the box. The Risorgimento Resort (http://www.risorgimentoresort.com/) could only have been better located if it is within the Roman Amphitheatre! The location alone is what makes this hotel a charmer but I’m still not sure they quite deserve a 5-star notation: the hotel is great, but it’s tired, it needs some maintenance, and this is probably the first 5-star I’ve been to without luxury toiletries (which I was hoping for, to be honest). But the breakfast was great, the staff outstanding, and the beds were divine. And the bathroom! I’ve seen apartments in NY and Paris that are smaller than the bathroom! If the Risorgimento Resort is a bit too outside your price range, I had a one-night stay at a funky hotel just outside the city walls called Hotel 8Piu (http://www.8piuhotel.com/en). But readers be warned: the hotel photos don’t show just quite how outside the city centre the hotel is, nor that they are across the street from car dealerships and next to the strada provinciale (neither of which you can hear). But that said, the staff are amazing, the rooms quiet, and incredibly comfortable. I had read things that said, even when the lights are off, there are remnants of the funky “colour therapy” that they have in the rooms, but that wasn’t true for me. And if you stay here, be sure to ask for a room looking on to the park/gardens behind the hotel (I was in room 131). 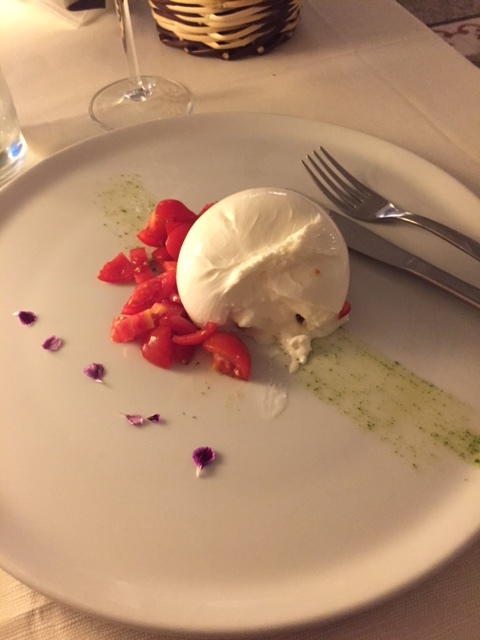 Puglia is known as the home of burrata and my goodness, it is better than any other place that I have ever eater this Italian wonder! Fresh, and oozy, and flavourful, and yes, my mouth is watering as I write! 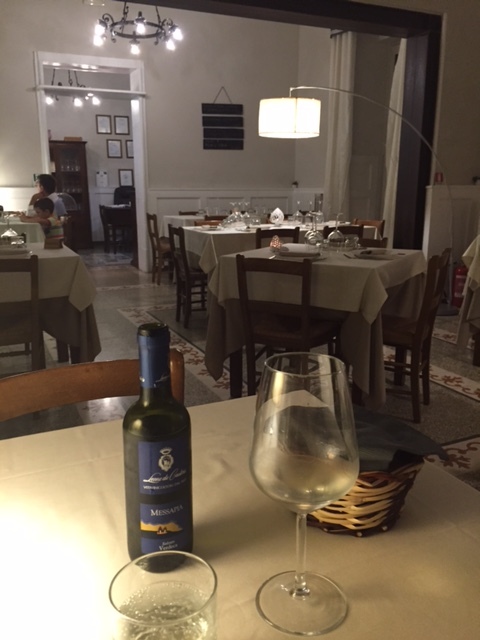 If you have a third night in Lecce, I would suggest seeking out Trattoria di Nonna Tetti. 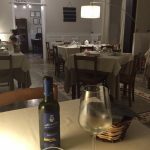 It’s an interesting little restaurant, off a side street in Lecce, with absolutely wonderful food and a nice selection of wine. 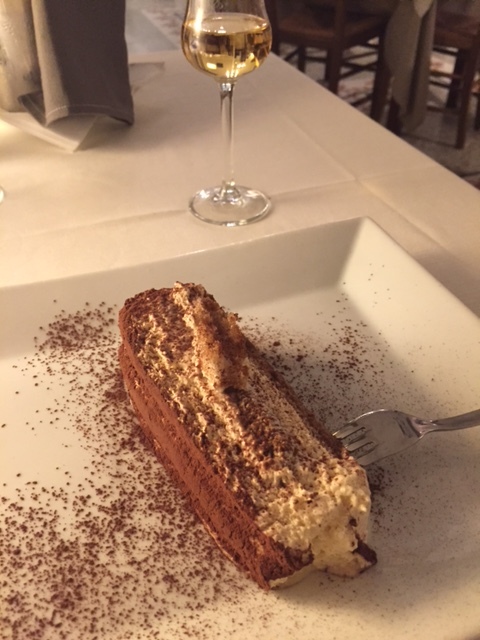 My warning to readers is that 1, if you’re there when it is warm, be forewarned that despite having AC, it doesn’t work very well and you know, when you eat hot food, we get hot and…, alas, everyone was sweating quite a bit in this little restaurant with great food. The other thing to be prepared for is that they don’t have a lot of wait staff. I think this is, in part, because the place is so small and the kitchen is downstairs and there is a lot of running up and down the stairs, so service can be slow but it is worth it so, as long as you are prepared, you’ll have a wonderful evening. 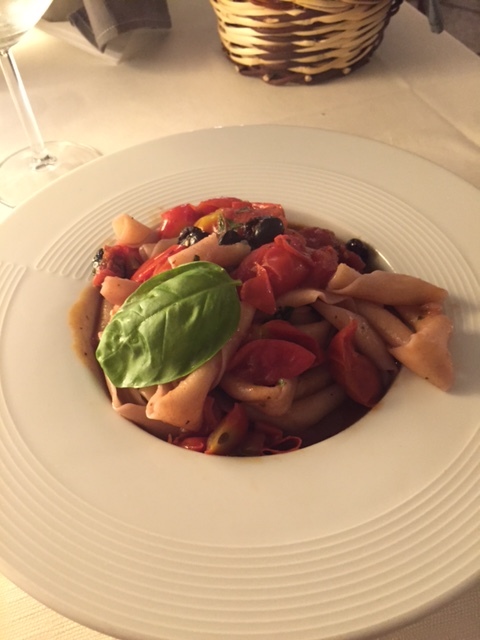 Other than what your travel guide or website tells you, there really are no secret gems in Lecce. It’s an amazing place to wonder around, and simply get lost. And if you’re in to it, as I am, check out the various churches that seem to be around every corner. Talk about stunning! And when you look at the native stone that this city was built of, and you see how it has, slowly, begun to weather, you can’t help but appreciate the craftsmanship and love that the inhabitants of Lecce have put in to this city. It’s a wonderful place, this city called Lecce, and I encourage everyone to visit and to use it as a starting point for your adventures south in to the Puglia (or Apulia) region. 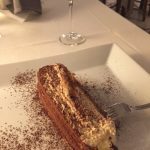 The food is divine, the vistas breathtaking, and with a good GPS, and stern conviction, you can find an amazing part of Italy that really is different from the more tourist trodden areas that we all (at least me) have come to know and love. 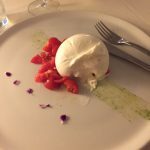 This entry was posted in Lecce, Puglia, Uncategorized and tagged Adriatic, Apulia, Burrata, greece, nouvo Italiano, pasta, Puglia, Sorrento, vino. Bookmark the permalink.